We can judge whether Westpac Banking Corporation (NYSE:WBK) is a good investment right now by following the lead of some of the best investors in the world and piggybacking their ideas. There’s no better way to get these firms’ immense resources and analytical capabilities working for us than to follow their lead into their best ideas. While not all of these picks will be winners, our research shows that these picks historically outperformed the market when we factor in known risk factors. Westpac Banking Corporation (NYSE:WBK) investors should be aware of an increase in hedge fund sentiment recently. Our calculations also showed that WBK isn’t among the 30 most popular stocks among hedge funds. In the financial world there are a large number of methods market participants can use to size up stocks. A couple of the less known methods are hedge fund and insider trading activity. Our experts have shown that, historically, those who follow the top picks of the top hedge fund managers can outperform the market by a healthy amount (see the details here). Let’s go over the recent hedge fund action encompassing Westpac Banking Corporation (NYSE:WBK). How are hedge funds trading Westpac Banking Corporation (NYSE:WBK)? At the end of the fourth quarter, a total of 10 of the hedge funds tracked by Insider Monkey were long this stock, a change of 67% from the previous quarter. 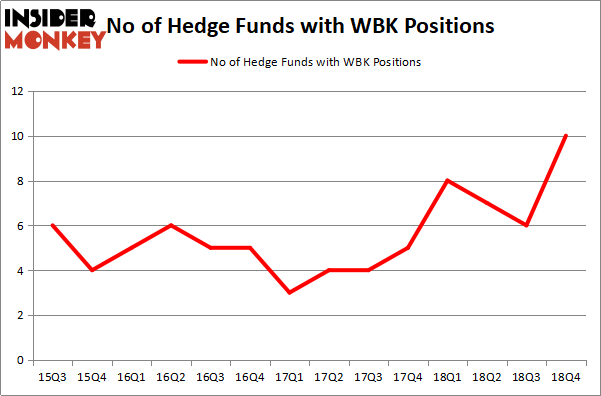 The graph below displays the number of hedge funds with bullish position in WBK over the last 14 quarters. So, let’s examine which hedge funds were among the top holders of the stock and which hedge funds were making big moves. 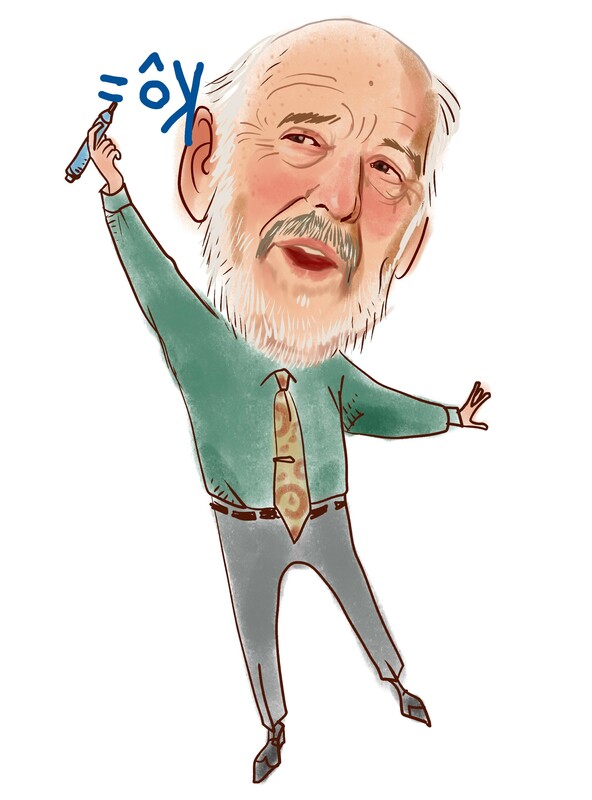 When looking at the institutional investors followed by Insider Monkey, Jim Simons’s Renaissance Technologies has the biggest position in Westpac Banking Corporation (NYSE:WBK), worth close to $25 million, corresponding to less than 0.1%% of its total 13F portfolio. Coming in second is LMR Partners, managed by Ben Levine, Andrew Manuel and Stefan Renold, which holds a $7.2 million position; the fund has 0.4% of its 13F portfolio invested in the stock. Other peers with similar optimism comprise Israel Englander’s Millennium Management, D. E. Shaw’s D E Shaw and Minhua Zhang’s Weld Capital Management. As one would reasonably expect, key money managers were leading the bulls’ herd. Millennium Management, managed by Israel Englander, assembled the most valuable position in Westpac Banking Corporation (NYSE:WBK). Millennium Management had $5.6 million invested in the company at the end of the quarter. Minhua Zhang’s Weld Capital Management also initiated a $0.8 million position during the quarter. The other funds with new positions in the stock are Matthew Tewksbury’s Stevens Capital Management, John Overdeck and David Siegel’s Two Sigma Advisors, and Dmitry Balyasny’s Balyasny Asset Management. Let’s also examine hedge fund activity in other stocks – not necessarily in the same industry as Westpac Banking Corporation (NYSE:WBK) but similarly valued. These stocks are Chubb Limited (NYSE:CB), China Life Insurance Company Ltd. (NYSE:LFC), Fox Corporation (NASDAQ:FOXA), and Stryker Corporation (NYSE:SYK). This group of stocks’ market caps resemble WBK’s market cap. As you can see these stocks had an average of 36.25 hedge funds with bullish positions and the average amount invested in these stocks was $2788 million. That figure was $44 million in WBK’s case. Fox Corporation (NASDAQ:FOXA) is the most popular stock in this table. On the other hand China Life Insurance Company Ltd. (NYSE:LFC) is the least popular one with only 7 bullish hedge fund positions. Westpac Banking Corporation (NYSE:WBK) is not the least popular stock in this group but hedge fund interest is still below average. This is a slightly negative signal and we’d rather spend our time researching stocks that hedge funds are piling on. Our calculations showed that top 15 most popular stocks among hedge funds returned 19.7% through March 15th and outperformed the S&P 500 ETF (SPY) by 6.6 percentage points. Unfortunately WBK wasn’t in this group. Hedge funds that bet on WBK were disappointed as the stock returned 8.2% and underperformed the market. If you are interested in investing in large cap stocks, you should check out the top 15 hedge fund stocks as 13 of these outperformed the market. Hedge Funds Have Never Been This Bullish On Thermo Fisher Scientific Inc. (... Itau Unibanco Holding SA (ITUB): Are Hedge Funds Right About This Stock? Were Hedge Funds Right About Buying United Technologies Corporation (UTX)? Do Hedge Funds Love Diageo plc (DEO)? Were Hedge Funds Right About Buying Costco Wholesale Corporation (COST)? Were Hedge Funds Right About Dumping Twenty-First Century Fox Inc (FOX)?